On Cadia the birth rate and recruitment rate are synonymous. Cadian regiments are highly disciplined, excellent shots and use elite shock troops to lead their attacks. The primary strength of every regiment is its manpower and their wide array of powerful weapons. Infantry squads such as this are the back bone of the Imperial Guard. 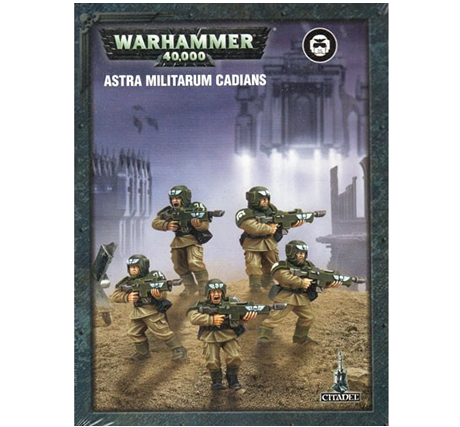 This box set contains five plastic Imperial Guard Cadian Shock Troops armed with lasguns. Models supplied with 25mm round bases.